It seems like there are a lot of outlets out there today that scream to want to buy your post-client diamonds. However, these outfits cannot possibly match our combined expertise and knowledge when it comes to offering you a fair and real offer for your diamonds. We are constantly buying diamonds across all global diamond markets in order to keep up with our customer’s demands. Whether you have unwanted diamonds in your inventory, or a client who wants to sell an estate piece of jewelry, we are your buyers. We are currently buying all shapes of diamonds from melee to and over 10 carats. 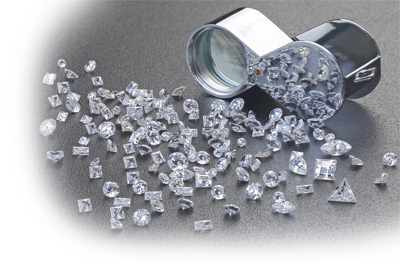 We can evaluate your loose, mounted or broken diamonds as well. So, why not deal with the same company you have trusted for over 30 years? Whether you are a longstanding client, or a first time seller, we will treat your transaction with the same respect and integrity that has come to be our recognized standard. You will receive your payment overnight, and we can even provide you with an inbound shipping label for your convenience. Go ahead... call or email us using the form below.